In the atmospheric surroundings of All Saints Church, we’re delighted to present The Passion of Joan of Arc. A classic of the late silent era, Carl Theodor Dreyer’s 1928 masterpiece is commonly cited as one of greatest films ever made. On trial for heresy, Joan of Arc’s interrogation and execution is rendered in agonising clarity, as we follow her spiritual and emotional struggle, and eventual martyrdom, at the hands of the religious authorities. The film’s iconic cinematography set aesthetic standards which would dominate European art cinema for the next 50 years, influencing directors such as Godard, Bergman and Tarkovsky. Comprising mainly of close ups, the film’s visual language eschews cinematic convention, distorting the viewer’s concept of space and highlighting Renee Falconetti’s transcendental performance as Joan. 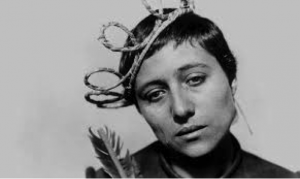 The Passion of Joan of Arc is both a stunning artistic achievement and a triumph of visual storytelling, just as relevant today as it was when first released over 90 years ago.